Remember when basic skinny jeans were all you’d ever see anywhere wearing? Well gone are those days and I’m pretty happy about the new denim trends that pop up every season. 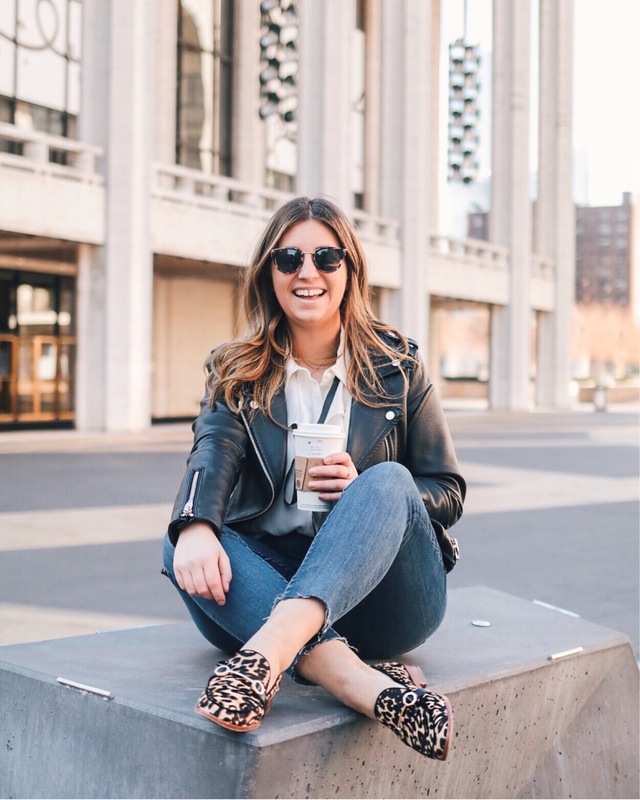 The only thing I miss about the skinny jean era is how easy skinny jeans are to pair with anything, while some of my favorite denim trends, like the crop flare jeans in this post, can be down right daunting. Luckily, since I bought my first pair of crop flare jeans almost a year ago (you can see them in this post) I’ve started to get the hang of what works and what doesn’t so I thought I’d share a few tips. If you take a look back at my first post wearing crop flare jeans one of the biggest mistakes I made was pairing my jeans with loose tops that covered the high waist. Even if you feel a little self conscious with everything so fitted I guarantee you’ll look amazing. A fitted top paired with a high waist flatters everyone’s figure! As someone who’s on the shorter side I’m always looking for ways to make my legs longer. Cropped jeans have the tendency to make your legs look shorter rather than longer, so I like to pair them with my slightly heeled sandals. Just an inch or two of a heel makes my legs feel miles longer. If you don’t want to wear heels then try a pair of pointed flats to elongate your legs! I always layer (even in the summer) because air conditioning in NYC is brutal and I truly love the dimension that layers of different lengths can add to an outfit. Since you’re staying pretty fitted with the rest of your look adding a longer layer like a light vest or long cardigan is the perfect way to add some interest to your outfit without it being too bulky. Do you all have any must-dos when wearing tricky denim trends? I always love new ideas!